Virgin Australia says it has significant concerns with a proposed codeshare deal between Cathay Pacific and Qantas on Australia-Hong Kong routes. 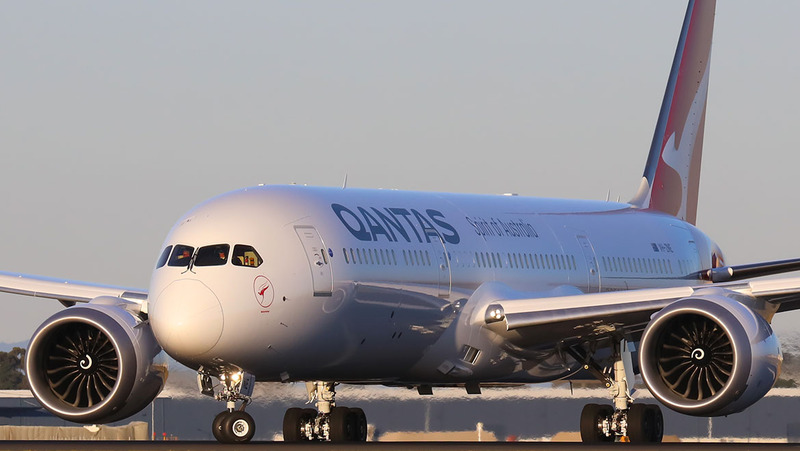 In early January, Qantas wrote to Australia’s International Air Services Commission (IASC), seeking regulatory approval to codeshare with Cathay Pacific on Australia-Hong Kong routes. Specifically, the application said it was proposed to have Cathay Pacific offer codeshare services on flights operated by Qantas on the Hong Kong route from 31 March 2019. 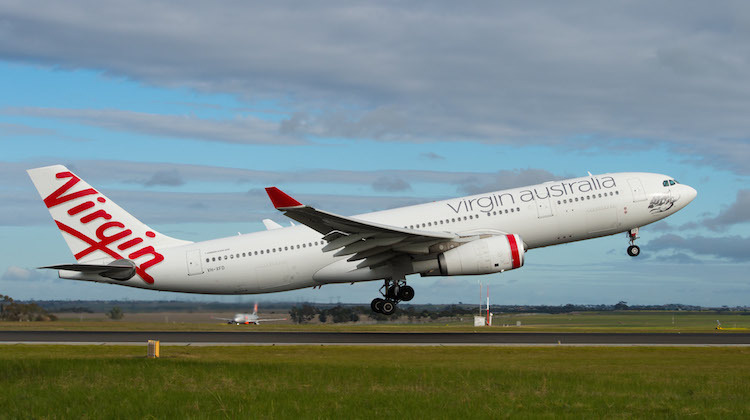 Virgin Australia told the IASC, the Australian government body that allocates international airline capacity, in a submission dated January 22 2019 it objected to the application. “Virgin Australia holds significant concerns the proposed variation of the determination will result in an unnecessary expansion of both Qantas and Cathay Pacific’s market power, to the detriment of the travelling public,” Virgin Australia head of government and industrial relations Lee-Anne Tomkins said it the airline’s submission. Virgin Australia noted the Qantas application did not provide details of which city pairs served by Qantas on which Cathay Pacific would place its CX airline code, whether Qantas would add its QF airline code on any Cathay Pacific-operated flights between Australia and Hong Kong, and how seats would be sold through the codeshare agreement. At the time Qantas lodged its application, an airline spokesperson said more details would be provided following the IASC process, adding that the proposed codeshare would offer more options for travellers. Currently, Cathay Pacific serves six destinations in Australia – Adelaide, Brisbane, Cairns, Melbourne, Perth and Sydney – from its Hong Kong hub with a mix of Airbus A330-300s, A350-900s and Boeing 777-300ERs offering business, premium economy and economy. It is the only Hong Kong-based carrier offering nonstop flights to Australia, after Virgin Australia alliance partner Hong Kong Airlines withdrew its flights to Cairns and the Gold Coast in October 2018. Qantas offers nonstop flights from Brisbane, Melbourne and Sydney to Hong Kong with a mix of Airbus A330s, A380s and Boeing 747s and 787-9s. Virgin Australia started serving the Special Administrative Region (SAR) with its own aircraft in July 2017, when it began nonstop flights on the Melbourne-Hong Kong route with two-class Airbus A330-200s featuring 20 business class seats in a 1-2-1 configuration with direct aisle access for each passenger and 255 economy class seats at eight abreast. It added daily Sydney-Hong Kong services, again with A330-200 equipment, in July 2018. Virgin Australia noted Cathay Pacific and Qantas operated 88 per cent of all passenger flights between Australia and Hong Kong, which represented a combined seat capacity share of 90 per cent. Meanwhile, average load factors – an industry term to describe how full flights are – were above 80 per cent for both Cathay Pacific and Qantas on the Australia-Hong Kong route in the 12 months to October 2018. Virgin Australia said its average load factor on its Hong Kong services was 66 per cent over the same period. The airline said it expected the IASC to conduct a comprehensive review to determine if the proposed codeshare would be of benefit to the public. “If Qantas provides further information in support of its application, Virgin Australia would appreciate the opportunity to lodge a substantive submission with the Commission in response,” Virgin Australia said. The application, if approved, would expand an existing codeshare agreement that covered 13 Australian domestic routes, two Cathay Pacific-operated Australia-Hong Kong routes, and 10 routes from Hong Kong to India, Myanmar, Sri Lanka and Vietnam that began in October 2018. Specifically, Qantas added its QF airline code on Cathay Pacific-operated flights from Cairns and Perth to Hong Kong, as well as from Hong Kong to Bangalore, Chennai, Delhi, Kolkata and Mumbai in India, Colombo in Sri Lanka, Yangon in Myanmar and Danang, Hanoi and Ho Chi Minh City in Vietnam. In turn, Cathay Pacific placed its CX airline code on select Qantas domestic services from Adelaide, Brisbane, Cairns, Melbourne, Perth and Sydney. 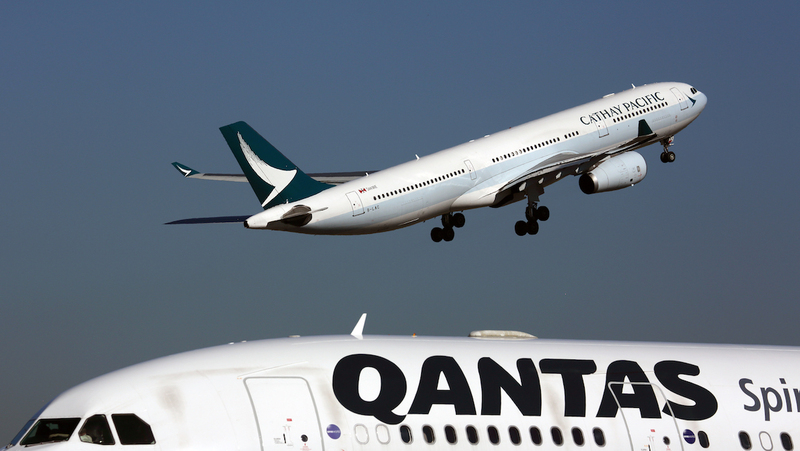 Qantas’s codeshare agreement with Cathay Pacific follows similar arrangements with airlines such as Air France, El Al and others to offer its passengers more Qantas-coded options in its network. Currently, Cathay Pacific uses all the available capacity for Hong Kong flag carriers to Australia’s four major gateways of Brisbane, Melbourne, Perth and Sydney under the current bilateral air services agreement between the two countries. As a result, Cathay Pacific has sought to expand in Australia through upgauging to larger equipment, which in recent times has meant swapping out 251-seat Airbus A330-300s with either 280-seat A350-900s or 340-seat Boeing 777-300ERs. And Cathay Pacific chief executive Rupert Hogg said in June 2018 the airline was focused on continuing to deploy larger aircraft on its existing services to this part of the world. “The strategy that we are adopting in order to bring more people to Australia and service the Australian market is really to upgauge,” Hogg told a CAPA – Centre for Aviation conference in Sydney. Increasing the number of codeshare flights on each other’s networks represents a win for frequent flyers of both carriers. Under the Qantas frequent flyer program, members earn more points and status credits when travelling on QF-coded flights. There is a similar arrangement for Cathay Pacific’s frequent flyer program, with members earning more club points when flying on a CX-coded service. 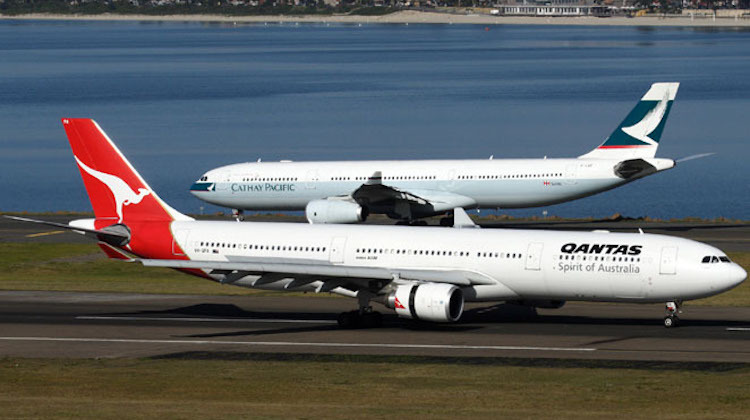 Another link between the two carriers was established in 2018, when former Cathay Pacific chief executive and aviation veteran Tony Tyler joined the Qantas board as a non-executive director. Virginia would barely breaking even with those load factors? Are Virgin worried because their discraceful legroom, which they currently offer on their Syd – HK flights, will be shown up by Cathay’s bigger planes? Be great if Atlantic still flew LDN to SYD. Have flown VA to HK and codeshare with Atlantic; never again. Disjointed and confusing at HK, re which lounge to use. Velocity partners, namely Singapore or via Mid East with Etihad are the only two European options now. Seriously tempts me to Qantas, as a FF. 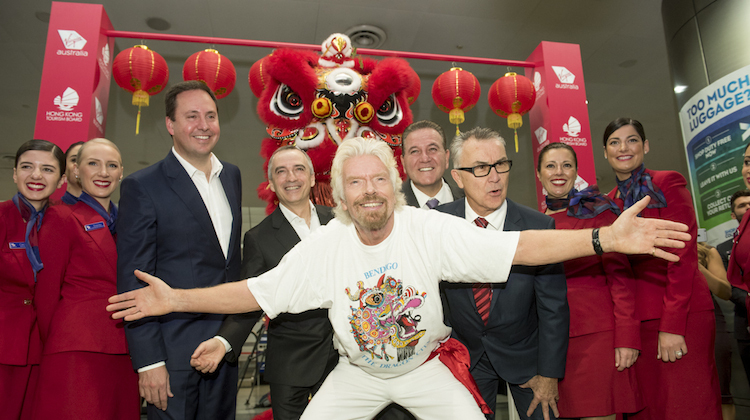 Solution: Virgin need to run bigger planes SYD – HK or scrap ‘codeshare’ with atlantic and treat Virgin Customers as one. Or, if you are liatening Atlantic: fly back down to Syd!! Just looking at seat numbers you’ve listed in this article, Virgin has 20Business + 255Economy, making a total of 275 seats in their short fuselage A330-200 aircraft. Cathay Pacific on the other hand has 251 seats (your article didn’t provide numbers in each cabin class) in their longer A330-300. It would seem to suggest that Cathay has more room between seats in each cabin, though I will admit I don’t know the seat pitch in economy on CX. Maybe ‘@velocity plat’ indeed has a valid point about “disgraceful legroom” on Virgin aircraft. Cramped domestic economy seating might be bearable for a 4 hour trans-Australian flight but to double the flight time in the same cramped seating must seem claustrophobic. SO once again Virgin is calling for a rejection of a code share for what appears to be an inability to fill their aircraft. We have just seen Virgin replace the B738 with an Alliance F100 on the Brisbane – Port Moresby route supposedly so the B738 could be redeployed on the Tasman., This suggests that load factors are still low. So that objection worked out well for them. Maybe Alliance could invest in some ULR F100 to replace the Virgin A332 on the Hong Kong routes! This should be knocked back on first view. Qantas and Cathay have 90% of the market, a codeshare requirement is laughable. Competition adverse, first sign of it and they run to Canberra or the like. Maybe Coles and wollies should be allowed to align prices and “codeshare” then, why not NAB and ANZ. Legacy airlines got exemptions and protection from competition for decades, they need no further help here.